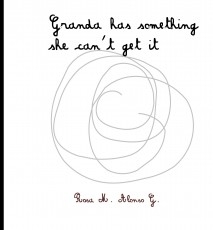 It illustrates about Alzheimer disease, with a child look respect her grandmother. This work shows a common familiar situation, which is changing its routine. My aim is to improve sensitive. The work has been written and has benn illustrated on my own. Included there other two languages more: Catalan and Spanish.